Healthy Sporty Asian Runner Woman Running On Beach Drinking Water.. Stock Photo, Picture And Royalty Free Image. Image 57254458. 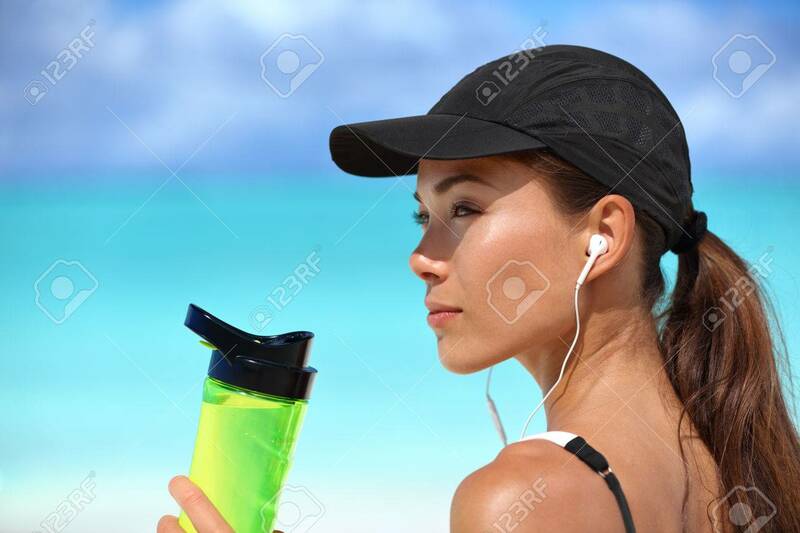 Stock Photo - Healthy sporty Asian runner woman running on beach drinking water bottle listening to music with earbuds and smartphone wearing sun cap for solar protection during summer. Active living. Healthy sporty Asian runner woman running on beach drinking water bottle listening to music with earbuds and smartphone wearing sun cap for solar protection during summer. Active living.